Weathernews Inc. 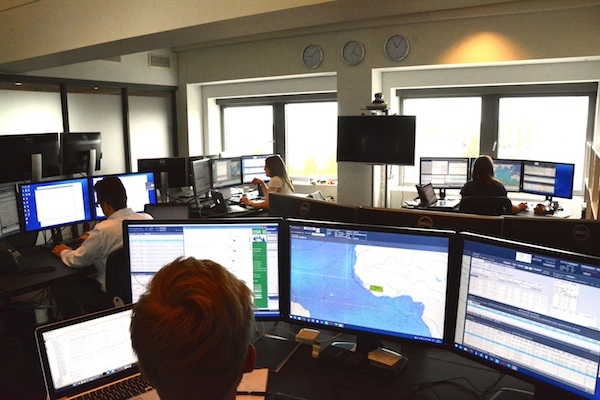 Establishes Copenhagen Service Center to Support European Shipping Industry – Weathernews Inc.
Weathernews Inc. (Chiba, Japan; Chihito Kusabiraki/CEO) announced that it has opened a new Voyage Planning Service operations center in Denmark this month. Along with reinforcing the service team for European customers adopting Optimum Ship Routeing (OSR) service that supports voyages by appropriately matching the business objectives of each voyage, the new outpost in Copenhagen aims to improve the satisfaction of existing customers through close communication. Also, the establishment of the Copenhagen Service Center completes a global three-zone service operations network comprised of the Oklahoma Service Center in USA, and Weathernews Global Service Center in Japan. Weathernews will now provide reliable risk communication services to customers in the global shipping industry from these three outposts in Asia, North America and Europe with no time-lag. This will bring Weathernews closer to companies in the shipping industry, and deepen understanding of their needs for value creation in things like new service developments. Until now, Weathernews has been providing weather based risk-communication service to shipping companies worldwide from two operations centers in Japan and the USA. By adding the Copenhagen Service Center in Denmark this time, Weathernews has established a three-zone service operations team in Asia, North America and Europe. After this Weathernews will provide risk communication service with no gaps for Asian customers from Chiba, Japan, for American customers from Oklahoma, USA and for European customers from Copenhagen, Denmark.